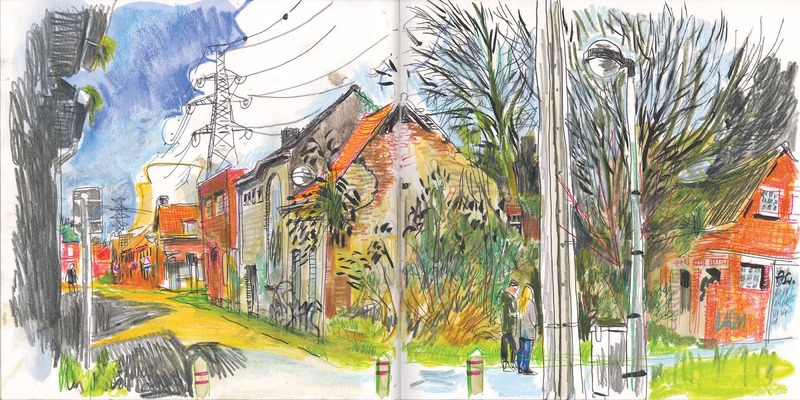 [By Jeroen Janssen in Doel, Begium] Almost finishing my new book about Doel (see previous posts). It will also be the story of Charel and Marcella, who kept a little household appliances shop. Charel died two years ago, Marcella lives in a nursing home. When I made my first book in Doel, from 2011 to 2013, I sketched often their house on the corner of the Camermansstraat and the Vissersstraat (Fishermen Street). See one of these sketches below. 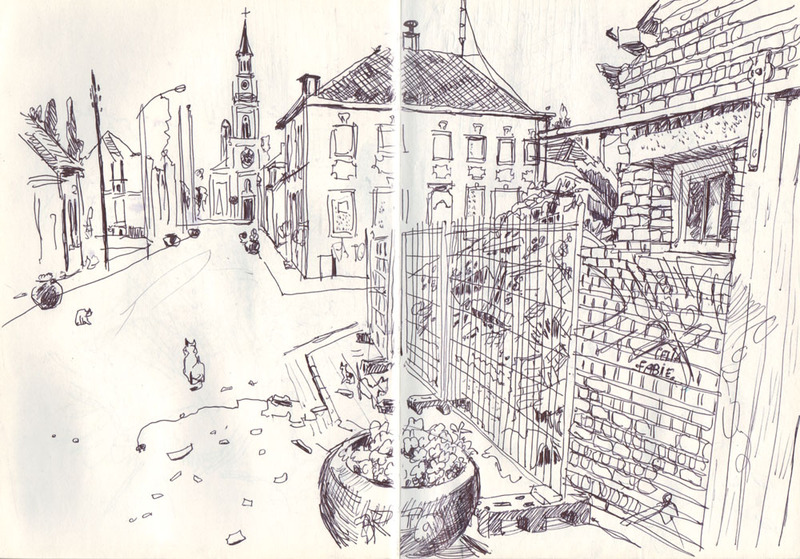 In august 2013 the house burned down (sketch in black pen). Charel and Marcella then already lived in the nursing home, but their 13 cats, fed every day by their son Rudi, became homeles. 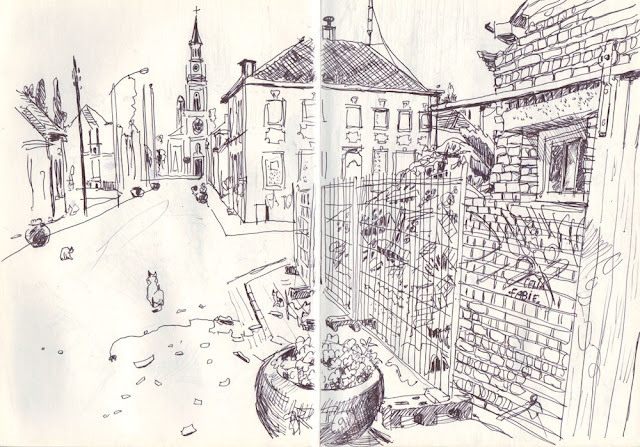 And the corner became one of the several scars in the little town. Yesterday I returned to make another sketch of this scar (big drawing on top).